I am really happy that I stumbled on some article (can’t find it now) comparing Sketch to Photoshop. This convinced me to give Sketch a try for a web-design part of a project I was working on. I downloaded the trial version, went through a few tutorials and I quickly saw the potential of greatly improving my workflow. Sketch is clearly a tool that was developed with web in mind from the start. It paid off, because once I started designing the website, it’s UI, logo and typography I was impressed at how much faster I was able to accomplish things compared to Photoshop. What I did not necessarily expect at the beginning is that the time and effort that Sketch saves me putting my idea or vision into the computer as a graphic design–this saved time I would use for experimentation and fine tuning of my work. It’s so much easier to just select all the elements of the same type on a webpage design and fine tune the border, shadow or size all in one go (just one of many features of Sketch). This results in me producing work that I am more satisfied with. In Sketch, everything is a vector. Now vector graphics is not something I had too much experience with. In the past, I used Illustrator only on a few occasions, never becoming fully comfortable with it to a degree where I would use it as the first place to go when I needed to create a logo or similar graphic asset for a project. So this time, I gave myself a specific task to finish, unrelated to any work project I was busy with. The whole point of this task was to push myself to improve my vector skills and produce something tangible, not just playing aimlessly with shapes and colors. 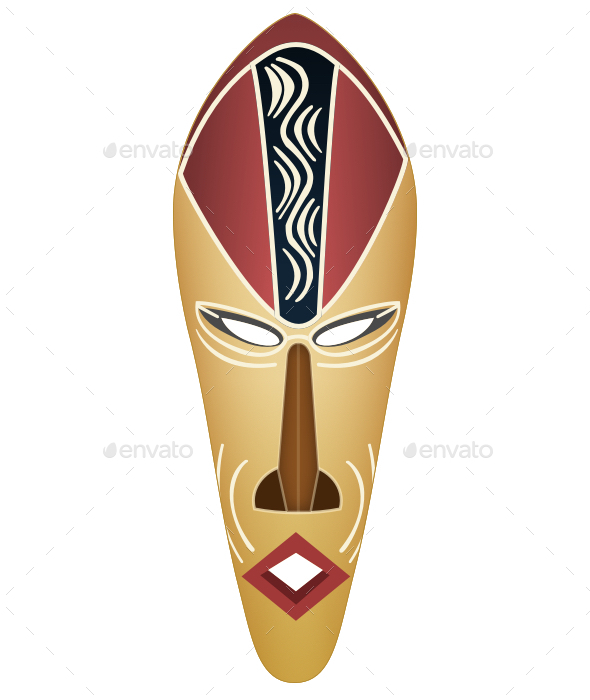 I created this african mask illustration and made it available on Envato (which is also something I wanted to try for a while). Learning this new tool and enjoying the faster and more effortless web-design workflow is something I now enjoy thanks to Sketch.